QUESTION: How many calories are there in a pound of fat? I’ve heard people say that there are 3500 calories in 1lb, but I’ve also heard people say that this old rule is just a weight loss myth. What’s the truth? Are There 3500 Calories In A Pound? But here’s where things get a little complicated, because while the “3500 calories = one pound” rule is indeed true, it rarely works out that way in the real world. First, if they create a 3500 calorie deficit by eating fewer calories, burning additional calories, or doing some combination of the two, they’ll lose exactly one pound. So, if they eat 500 fewer calories (or burn 500 extra calories) every day for a week, they’ll lose exactly one pound per week (500 x 7 = 3500 calories). Second, if they do the opposite of this and instead create a 3500 calorie surplus by eating additional calories, they’ll gain exactly one pound. Which means, if some example person maintains their current weight eating 2500 calories per day, eating 2000 calories would make them lose exactly one pound per week, and eating 3000 calories would make them gain exactly one pound per week. So, the assumption goes, the fact that there are roughly 3500 calories in a pound of body fat means that a deficit or surplus of 3500 calories will always result in exactly one pound being lost or gained. The 3500 calorie rule applies strictly to one pound of body fat. The problem, however, is that we track losses and gains of body fat by tracking our body weight, and “weight” can be a lot of things besides strictly body fat. Why does this matter? Because we never lose or gain only body fat. The other things on this list are constantly being lost and gained right along with it. For this reason, our body weight rarely changes at a perfect 1:1 ratio to our body fat. In fact, it can sometimes be off by a significant amount. For example, it’s extremely common for a person to lose body fat but yet see their body weight stay exactly the same or sometimes even go up! In many cases, this scenario can last for weeks at a time thereby causing the person to falsely believe their progress has stalled (or regressed) all while fat is still being lost just fine (details here: Why Am I Not Losing Weight?). What’s happening in this scenario is that they are gaining something else (most often water) that is counterbalancing their weight on the scale (or sometimes even exceeding it), thus preventing their fat loss progress from actually showing. This is why it’s so common for people to gain 2-5lbs (or more) overnight after one bad day of eating. They’ll then think “oh no, I gained 2-5lbs of fat in a day! 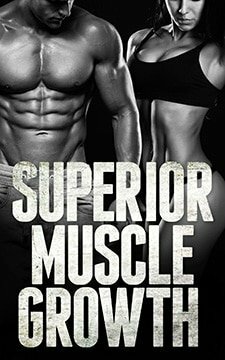 !” when in reality, all they actually gained is 2-5lbs of temporary water weight because there’s no way they ate the insane 7000 – 17,500 additional calories necessary for 2-5lbs of actual body fat to be gained in a 24-hour period. This is a topic I cover in detail right here: Why Am I Gaining Weight? For this reason, even when you have a perfectly accurate 3500 calorie deficit or surplus in place that should cause exactly one pound of weight to be lost or gained, it’s unlikely that you’ll actually see that happen. The next semi-related problem preventing this rule from working out the way we think it should is the fact that the excess calories we eat while in a surplus don’t only get stored in the form of body fat, and body fat isn’t the only source of stored calories we burn for energy while in a deficit. There’s also muscle, and it contains a different amount of calories per pound (something in the 600-700 range) than fat does. Why does this matter? Because when we create a caloric deficit in an attempt to lose only body fat, it’s extremely common to lose at least a tiny amount of muscle tissue along with it. And when we overeat and expect to gain exactly one pound of fat, it’s very likely that at least a tiny amount of those excess calories will be stored as muscle tissue. So even if you ignore the issues of short-term weight fluctuations caused by something like water, the longer-term weight being lost and gained is still rarely going to be only body fat. The next big problem with this 3500 calorie “rule” is the fact that metabolic rate changes because the human body adapts to maintain homeostasis. What does that mean in plain English, you ask? Let’s pretend some person eats 3500 excess calories over the span of a week and should therefore end up gaining exactly one pound of fat. Let’s also pretend the previous two problems don’t actually exist, so the only weight they will gain or lose is strictly body fat. Even under these nonexistent conditions, this person STILL wouldn’t gain exactly 1lb. Because the Thermic Effect Of Food (TEF) will increase. These are the calories your body burns digesting the foods you eat, and when you eat more food, you naturally end up burning more calories due to an increase in TEF. Granted, this isn’t going to be a hugely significant calorie burn, but it’s still enough to throw things off and make that 3500 calorie surplus something less than 3500 calories. Which means something less than 1lb of fat would be gained. Non-Exercise Activity Thermogenesis (NEAT) will increase. NEAT is defined as the calories burned via all of the little things you do over the course of the day BESIDES exercise… which also includes spontaneous daily movement (e.g. fidgeting, adjusting/maintaining posture, etc.). And what’s interesting about NEAT is that is goes up when we eat more calories (source). Which means, if a person eats 3500 excess calories, some of those calories (potentially hundreds of them) will unknowingly be burned off due to this increase in NEAT. Which means that 3500 calorie surplus won’t end up being a 3500 calorie surplus after all. 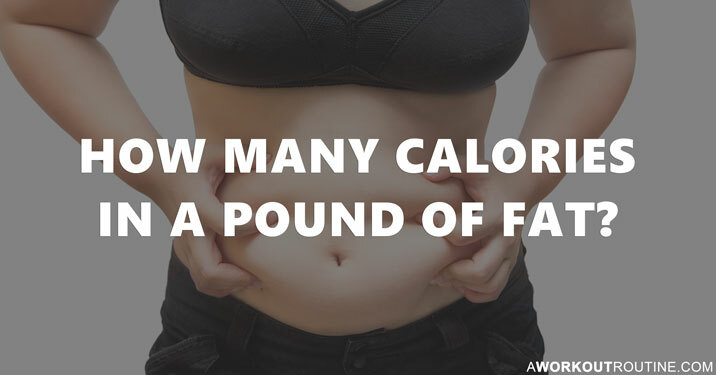 Which means one full pound of fat won’t be gained. Now let’s reverse the scenario and pretend some person eats 3500 fewer calories over the span of a week and should therefore end up losing exactly one pound of fat. And let’s continue to pretend that the previous two problems with water weight and muscle don’t actually exist, so body fat is all that can be lost or gained. Guess what? This person STILL wouldn’t lose exactly 1lb. Because TEF will decrease. Just like how TEF goes up when eating more, it goes down when eating less. So as soon as this person’s deficit is created, it automatically becomes some tiny degree smaller in size due to the reduction in TEF. NEAT will decrease. Yet again, just like how NEAT goes up when eating more, it goes down when eating less. So this person might think they’re creating a weekly 3500 calorie deficit by eating 500 fewer calories per day, but what they don’t realize is that they will naturally start moving less each day, therefore burning fewer calories than they had previously been… which means their intended 3500 calorie deficit will be some degree smaller than that. Basal Metabolic Rate (BMR) and the Thermic Effect Of Activity (TEA) will decrease. A bigger body burns more calories per day than a smaller body, both at rest and during activity. Which means, as a person gradually loses weight, they will also gradually start burning fewer and fewer calories per day… thus losing weight slower and slower until – in conjunction with the other items on this list plus a few others (all of which I cover in Superior Fat Loss) – they eventually hit a weight loss plateau and stall completely. All despite the fact that they had a 3500 calorie deficit present. 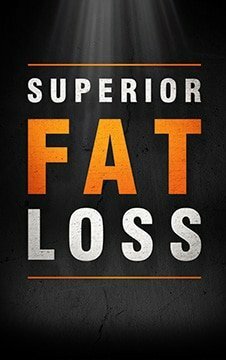 So, even when you put an exact 3500 calorie deficit or surplus in place, and even when you do so in a magical fake scenario where body fat is the only form of weight a person can lose or gain, you’re STILL not going to lose or gain precisely one pound because various metabolic changes will alter that deficit or surplus into something different than the 3500 you intended it to be. Now let’s ignore all three of the previous problems. Your 3500 calorie deficit or surplus STILL won’t result in an exact one pound weight change because your 3500 number is never going to be perfectly accurate. What I mean is, you can closely track every single bite of food you take right down to the very last gram, log it all in some diet tracking app, and be obsessively consistent with it. And you can wear ten Fitbits on each arm to track how many calories you’re burning as well. Even then – when you think your tracking is 100% perfectly accurate – your tracking still isn’t going to be 100% perfectly accurate. Why? Because there will always be some (at least) tiny error, mistake or inaccuracy taking place somewhere (whether you realize it not) that will cause your intended calorie intake or output to be off to some extent. So, for example, when you think you’re eating exactly 2000 calories a day, you may actually be eating 2025, or 2050, or 2100, or even 1900. Hell, it could be as much as 2500 – 3000 (source). Sometimes more. In some of these examples, the differences can be big enough to slow your progress, completely stop your progress, or even reverse your progress. In others, they’re normal meaningless differences that won’t matter in the long-term. But, even then, they still represent differences that are enough to just slightly throw off the deficit or surplus you think you’ve created and the weight loss or weight gain it causes. Does This Make The 3500 Calorie Rule Wrong? After taking all of the above into account, many people will conclude that the 3500 calorie rule is wrong, or a myth, or a lie, or a scam, or maybe even “proof” that weight loss is about carbs or sugar (or some other myth-based nonsense) rather than calories. The truth is, despite the flaws that prevent it from working out the convenient way we’d all like it to, the “rule” of there being 3500 calories in a pound of fat is still an extremely useful method for estimating how much weight a person will lose or gain. We simply need to be aware of these flaws so we can use this “rule” for what it is (a good-enough method for estimating weight changes) and not as some 100% perfectly accurate guaranteed method for knowing exactly how much weight we will lose or gain. As long as you do that, you’ll be doing it right. Not sure how many calories you should be eating per day to lose weight? No problem. I’ve got you covered right here: How Many Calories Should I Eat A Day To Lose Weight?